Bruxeliae Belgii cathol. ornamentum et ducatus Brabantiae metropolis. 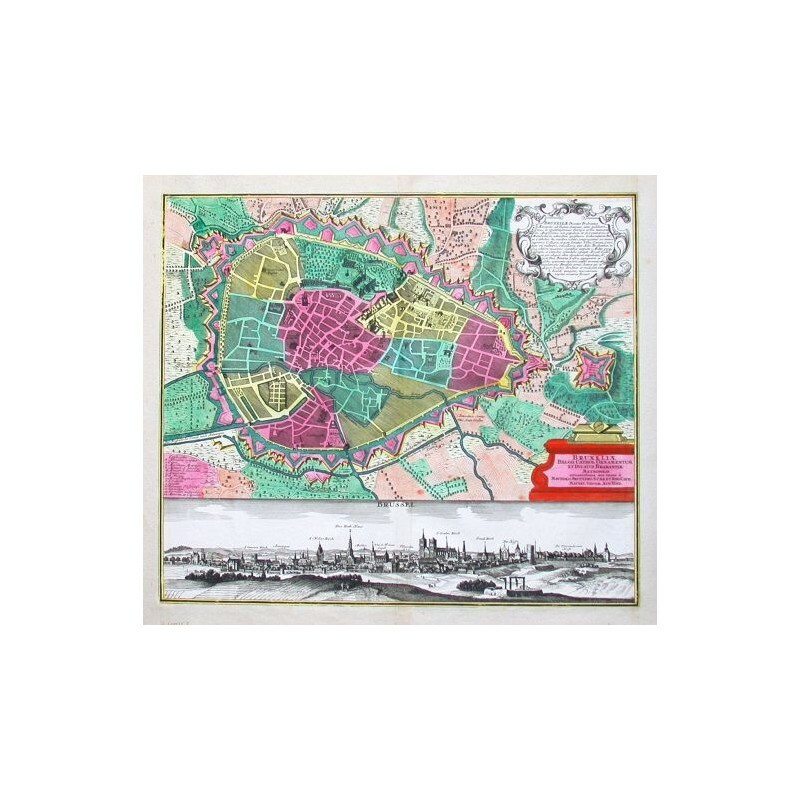 > Antique Maps and Views>Europe>Belgium, the Netherlands, Luxembourg>Brussels>Bruxeliae Belgii cathol. ornamentum et ducatus Brabantiae metropolis. "Bruxeliae Belgii cathol. ornamentum et ducatus Brabantiae metropolis". 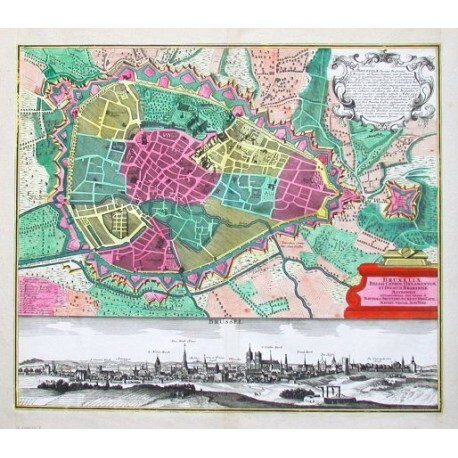 Old coloured city plan with uncoloured view of the city (12:56 cm) below it. Orig. copper-engraving by M. Seutter, published ca. 1740. With 2 ornamental cartouches (one of them coloured). 49,5:56 cm (19 1/2 x 22 inch. ).